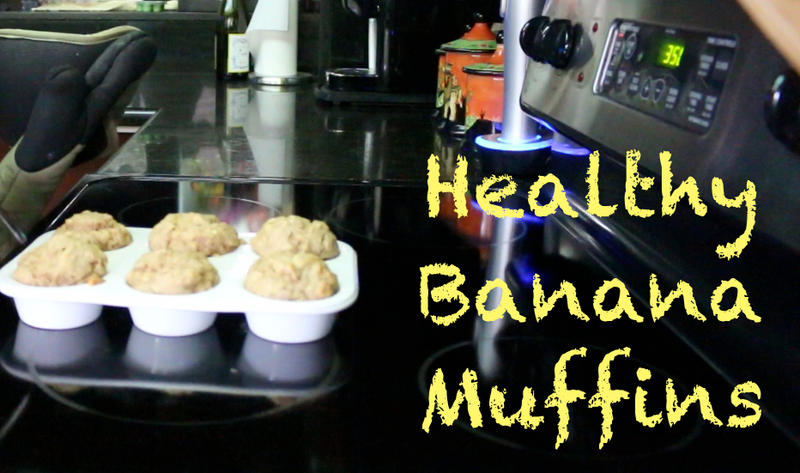 Today I am going to share with you guys my Healthy Banana Muffins recipe, this muffin is whole-wheat, sugar-free, contains only good fats, and is ridiculously moist. 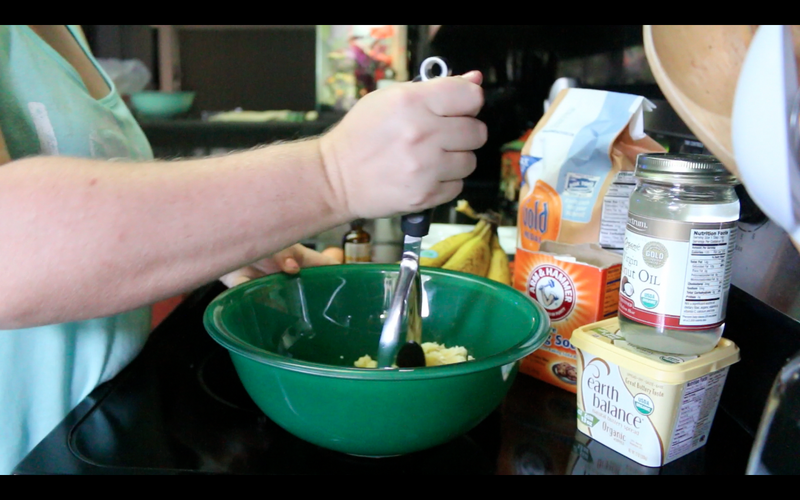 You want to start by mashing your bananas, you can do this with a blender/food processor, or you can use a potato masher. 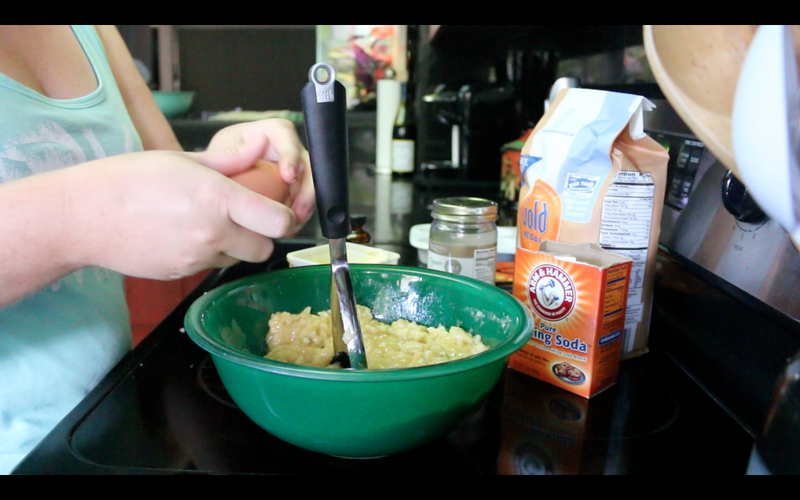 Then add in your 1 egg and whisk the banana/egg mixture. 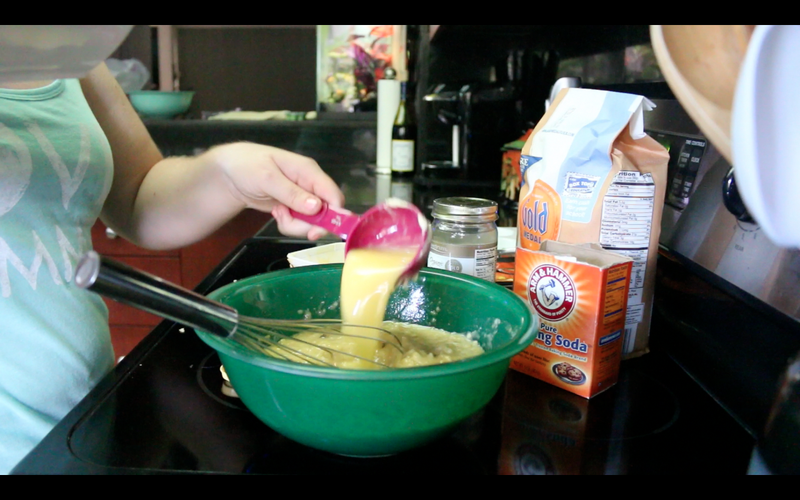 Now add in your 1/3 cup melted Earth Balance, and whisk again. 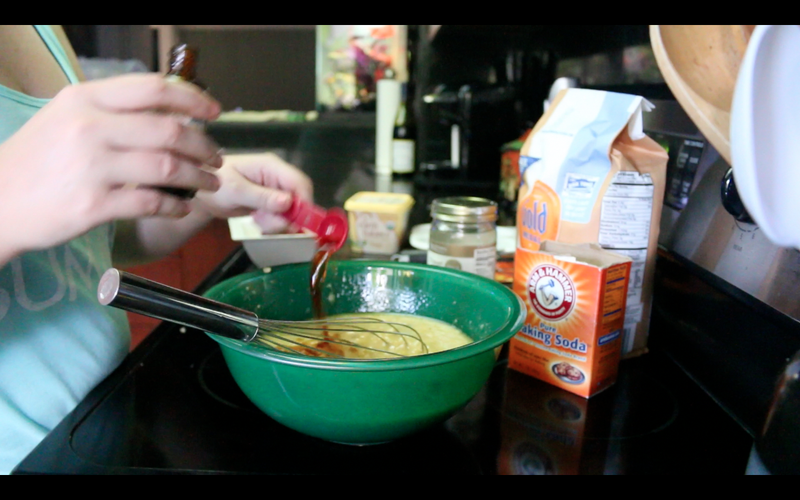 Add in your 1 teaspoon of Vanilla extract. 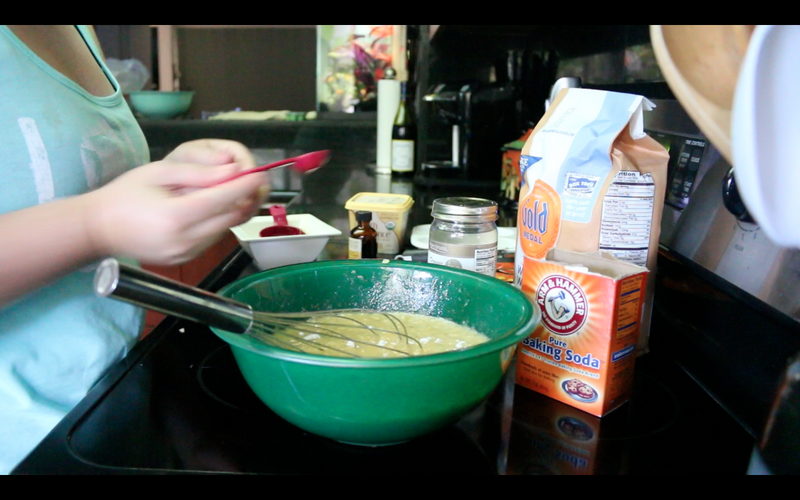 Followed by your 1 teaspoon Baking Soda. 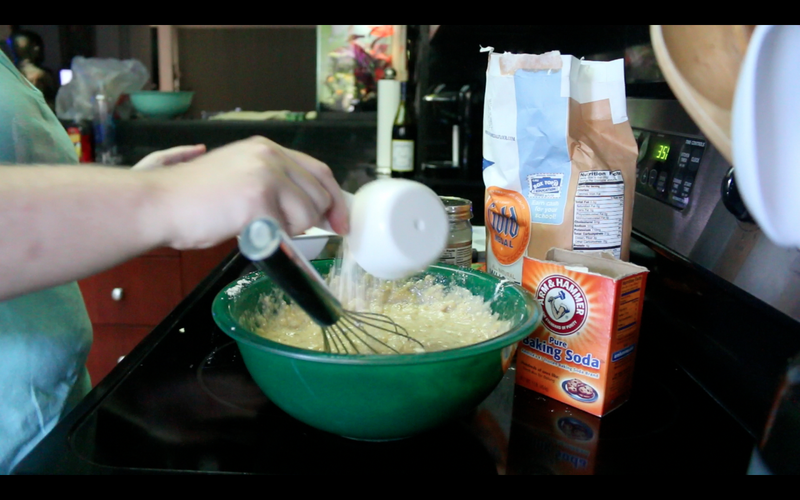 Then add in your 1 1/2 cups whole-wheat flower in 1/2 sections, whisking the mixture in-between 1/2 cups. line/grease your muffin tin and fill. Place in the oven for 20 minutes, after 20 minutes check to see if done, if not place back in the oven for 5-10 minutes. Place on rack to cool and enjoy. If you would like to see the complete video for this it is below.